In 2007, the US Defense Advanced Research Projects Agency (DARPA) sponsored the Urban Challenge, a road race for unmanned self-driving vehicles. The event sent shockwaves through the automotive industry—until then, it was believed that guide cables or similar infrastructure would be necessary to support self-driving cars, but the race shifted the focus toward developing fully autonomous vehicles. But what kind of smart-highway infrastructure will be necessary for their success? The Central Nippon Expressway Company, aka NEXCO Central, manages 1,200 miles of the country’s expressways, including the heavily congested, nearly 50-year-old Tomei Expressway and the newly built Shin-Tomei Expressway running parallel to it. Every day, more than 1.87 million vehicles travel on NEXCO Central’s expressways. Japan’s aging population and the imminent retirement of a generation of experienced workers are two factors that make efficient road management critical going forward. “Our roads are open for use 24 hours a day, 365 days a year, so we cannot allow any mistakes,” says Atsunori Ishida, an assistant manager of the Environment/Engineering Team at the company’s Tokyo Branch. In the Mobile Mapping System, a vehicle equipped with a 3D laser scanner drives along the road and collects 3D point-cloud data of the road surface, signage, and surrounding structures. Courtesy NEXCO Central Japan. NEXCO Central is studying ways to best use this data to generate CIM (construction information modeling, a term used in Japan to describe BIM in infrastructure) models. The company introduced CIM in the design stages for the Tokyo Gaikan Expressway and Chuo Expressway, on a project to relieve congestion around the Kobotoke Tunnel. NEXCO Central is using the Autodesk Architecture, Engineering & Construction Collection, which includes Civil 3D and AutoCAD Map 3D; Navisworks, allowing for multiple CIM models to be integrated and viewed together; and InfraWorks. It can be difficult to assess conditions and travel speeds in congestion-prone areas: For example, the Tomei Expressway has vehicle sensors installed at 1.2-mile intervals, too far apart for precise traffic-data collection. To solve this issue, NEXCO Central announced a Bluetooth travel-time provision system in which roadside receivers detect media access control (MAC) addresses of drivers’ Bluetooth devices and navigation systems. The travel time between receivers can be used to calculate estimated trip times, providing more accurate information to travel display boards on the expressway. The Kawasaki Traffic Control Center. Courtesy NEXCO Central Japan. NEXCO Central is installing accelerometers at tollbooths and other structures. This sensor data will help assess the structural integrity of these facilities in the event of earthquakes or other disasters. Other initiatives in development include autonomous snowplows and automated lane restrictions to ensure roadside worker safety. NEXCO Central hopes to use the resulting information and communications technology (ICT) big data to provide information on traffic congestion and debris on the road. The company is also tasked with preventing wrong-way driving, which has increased in recent years. Integrating AI and robots into smart-highway operations will automate more maintenance and management tasks. Through joint research with Tokyo University’s Graduate School of Information Science and Technology, a tunnel crack-detection system using high-speed image processing has been in development since 2013. By 2017, the team was able to detect cracks just 0.008 inches wide while traveling at 62 mph (the speed limit in Japan), and it aims to deploy this system in 2018. Drones are already being used to inspect bridge supports and other structures; crack status is evaluated remotely by a human examining captured imagery, but this task may be automated through AI. 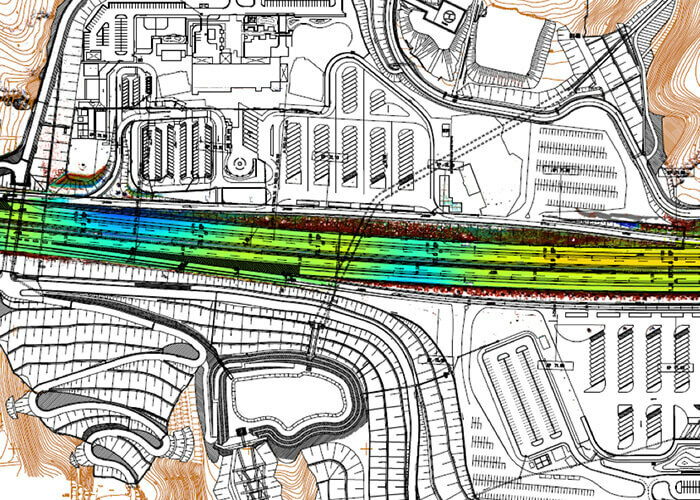 Data collection and analysis are also used in researching driver behavior and structural design of transportation infrastructure and smart highways of the future. Initiatives to provide safer, more comfortable driving experiences on expressways include visualizing brain activity to better understand the causes of traffic accidents and analyzing structures to improve material durability and reduce costs and environmental burdens. NEXCO Central is working with universities and companies to share information and technologies and form new research and development partnerships. MMS allows for the collection of data without obstructing regular traffic. The point-cloud data obtained can be used to measure the long-term settling and sinking of road surfaces. Courtesy NEXCO Central Japan. Responding to road congestion and accidents is handled at NEXCO Central’s four traffic-control centers, which gather information from traffic counters and CCTV cameras to measure traffic volume and weather information. This data is sent through a proprietary network that covers the entire expressway system; it’s used with information collected from roadside emergency calls and traffic patrols to evaluate road conditions and make management decisions and direct support from traffic patrols, police, and firefighters. Information boards on the roads display traffic information to drivers and help control the flow of traffic. Explore the toolkit NEXCO uses to make roads safer. 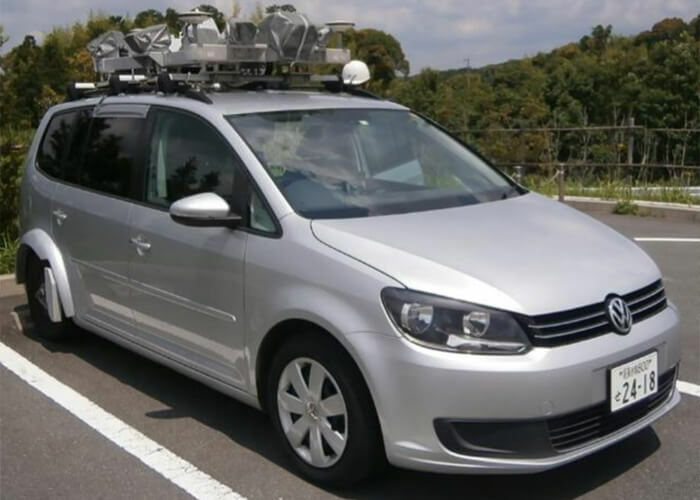 In January 2018, Japan’s Ministry of Land, Infrastructure, Transport, and Tourism (MLIT) performed field tests with a caravan of self-driving vehicles along a stretch of the Shin-Tomei Expressway. MLIT is looking to allow partially self-driven personal vehicles (Level 2 automation) on expressways by 2020, with a goal of getting fully automated vehicles (Level 4) onto expressways by 2025. For the shipping business, MLIT hopes to have caravans of self-driving trucks on expressways in the early 2020s. Also in the works is a system to provide traffic information for merging lanes to support self-driving vehicles. 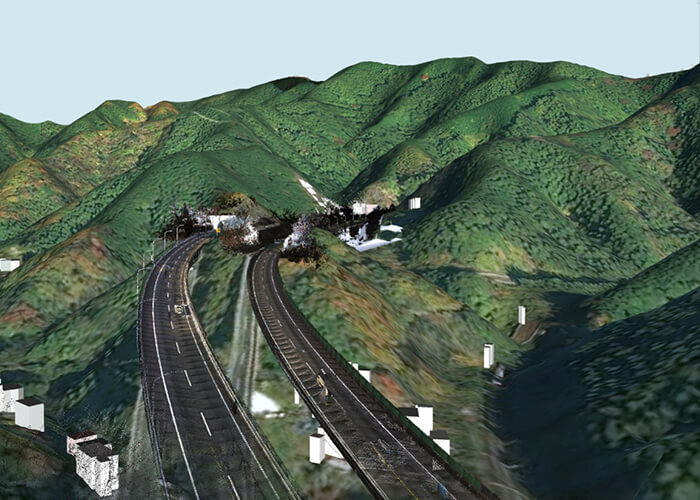 CIM was put to use in a project to relieve traffic congestion around the Kobotoke Tunnel. Courtesy NEXCO Central Japan. 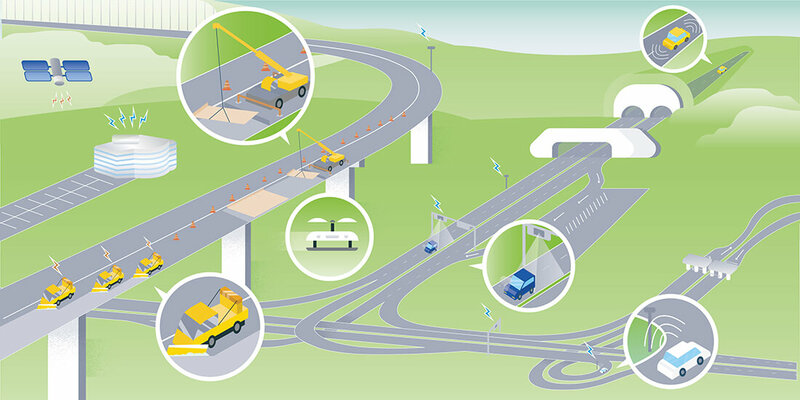 “Smart interchanges” along expressway routes allow electronic toll collection (ETC) technology at service plazas, which improves access and stimulates regional industries. Other benefits include more rapid disaster response and recovery.